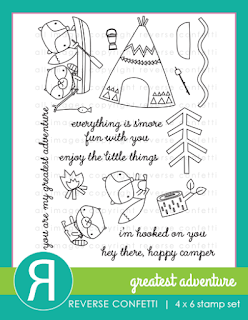 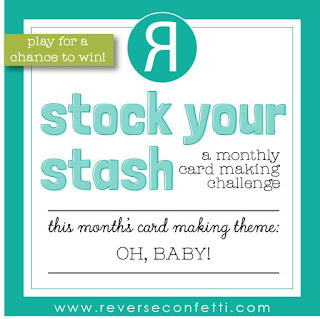 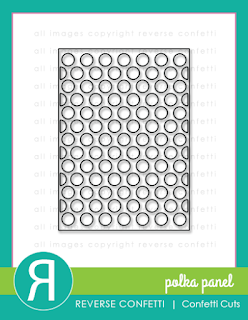 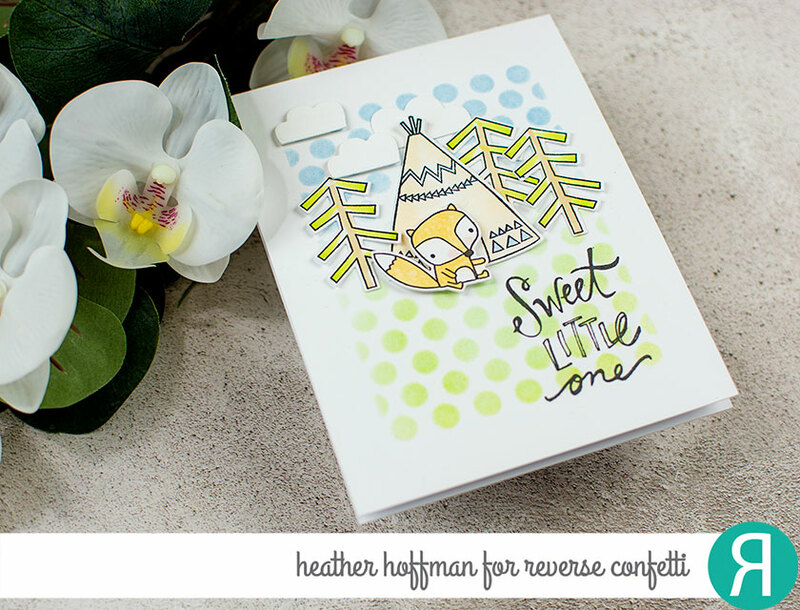 For my card today I pulled out one of the CUTEST sets ever, and part of the new release from Reverse Confetti! It paired perfectly with some older sets to create a cute little baby boy card! 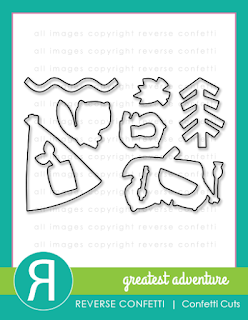 Greatest Adventure is destined easily to become one of my favorite sets ever! 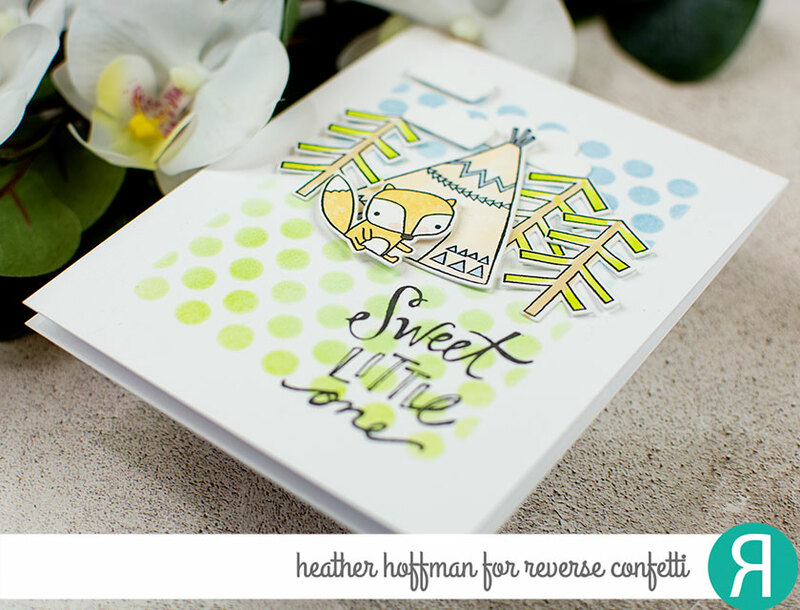 I created this card VERY similar to the card that posted last week for Wednesday in the Works - you can watch the video HERE if you want a peek! 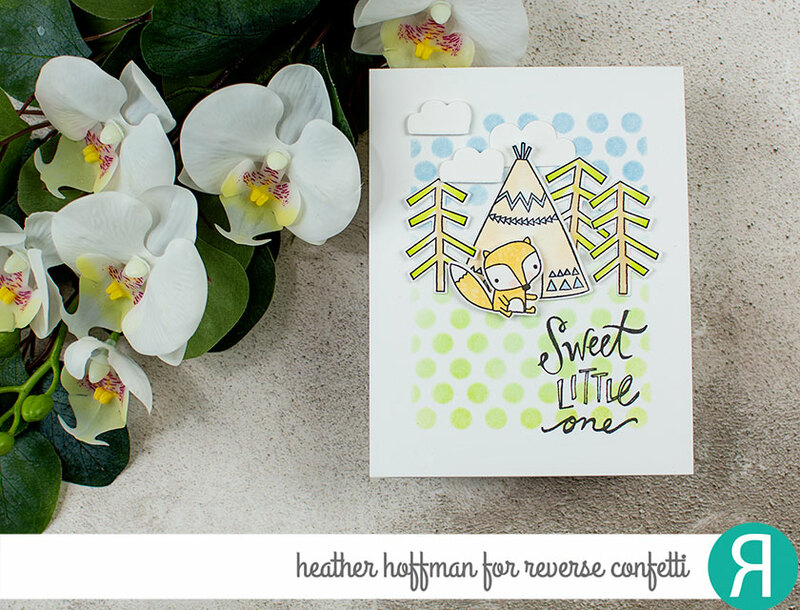 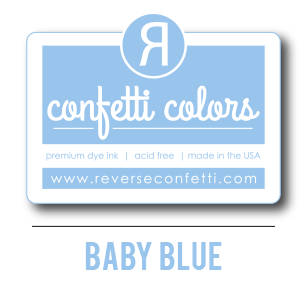 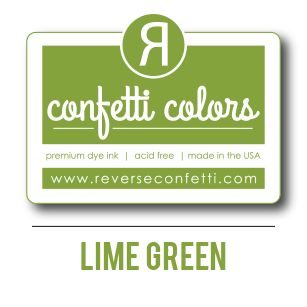 I basically used Reverse Confetti's Polka Panel die to create a stencil, blended some Reverse Confetti dye ink in Baby Blue and Lime Green over the top, and then stamped, die cut, colored, and arranged my scene before adding a sentiment from an older release, Cute as a Button. 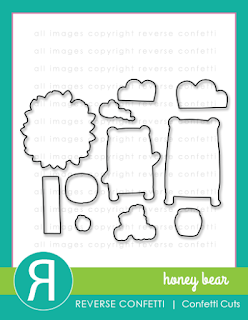 The clouds were created by just using the Honey Bear Dies without the stamps.